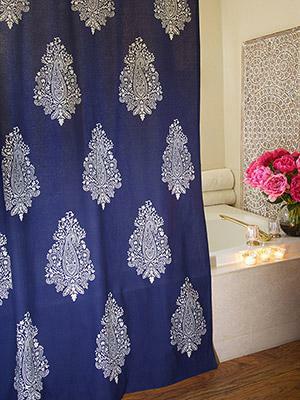 A delicate white floral ogee print, exquisitely patterned across a deep, inky blue navy ground. 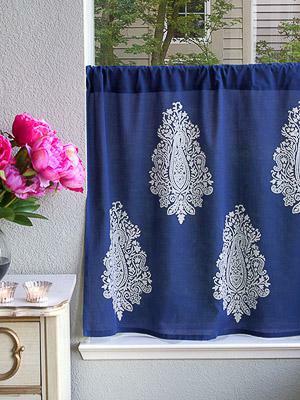 Trim your windows with easy elegance when you top them with our inky-indigo beaded valances. 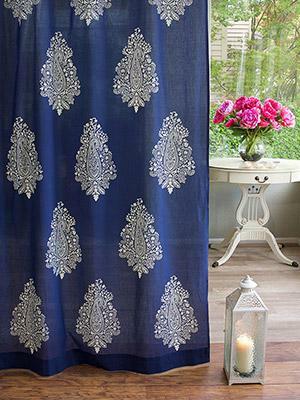 Sophisticated and bold, these eye-catchers will certainly be modern ... [ read more ] classics in your unique, global space. 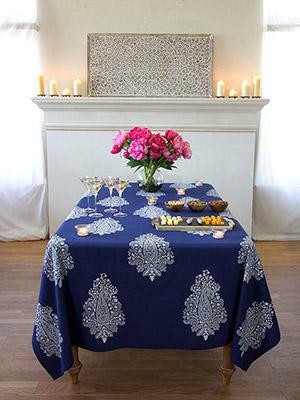 "With their rich inherent exoticism, I have always adored paisleys in all their various shapes and forms. 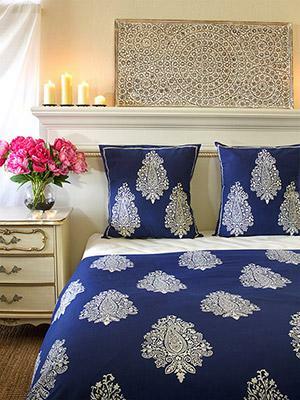 Cherished universally, the paisley motif has deep roots in the tapestry of textile history and continues to enjoy universal appeal to this day. 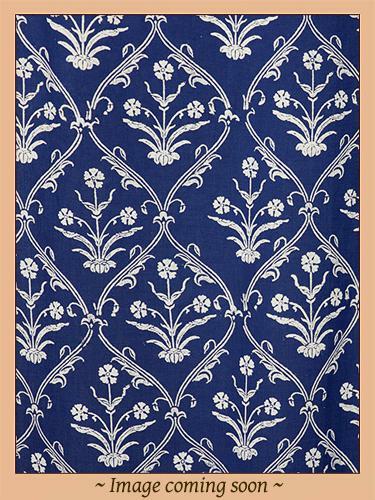 Mood Indigo is our fifth paisley print since we launched Saffron Marigold, and I hope that it is dearly loved by our wonderful customers."